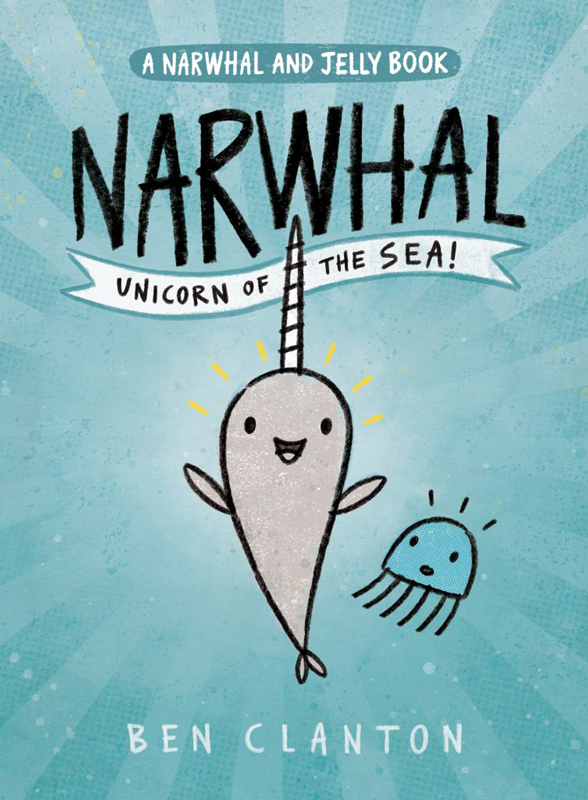 Narwhal, Unicorn of the Sea by Ben Clanton is a marvel. An undersea romp with confidence and joy and a little bit of absurdity. Narwhal is a joyful and happy character. You wonder if it has ever had a bad day in its life. 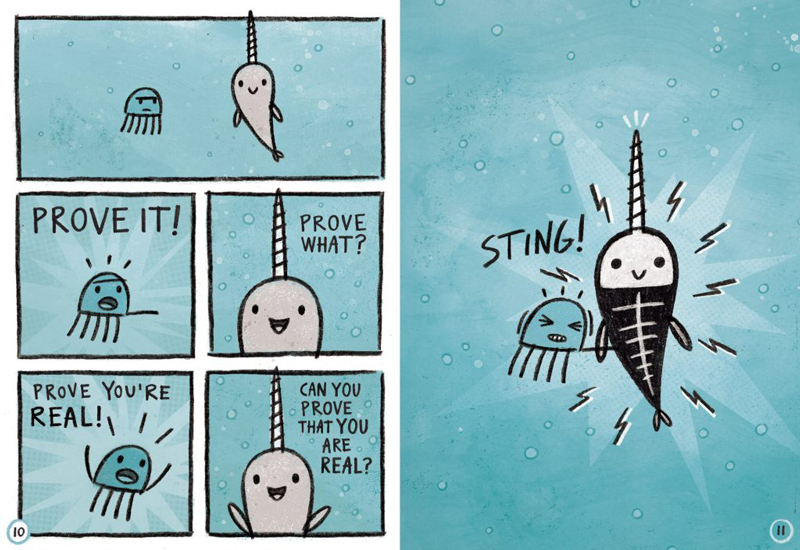 It is easy to get caught up in the positivity of Narwhal as it meets a new friend, Jelly, a somewhat skeptical jellyfish. They both question if each other is real with delightful conversation and actions. They determine eventually that, yes, they are friends, whether they are in each other’s imagination or not. And they both like waffles. When Narwhal learns that narwhals usually travel in pods, and searches for her pod unsuccessfully. So she decides to form her own pod. She invites a series of characters, a shark, a blowfish, an octopus, etc. to be part of her pod. And donning long spiral headgear, they all join up. Unintentionally, Jelly is never asked, leading to hurt feelings. The final tale has Narwhal sharing her favorite book with Jelly who she helps explore the possibilities of imagination. There are robots and waffles and even a sea monkey. There is also a Narwhal song included. Only slightly narcissistic, but cute and fun. Clanton’s art, limited to a palette of yellows and blues and grays is perfect for the underwater world. The drawings are simple but compelling and the crazy cast of characters come alive and are expressive with a few simple lines. This is a 64 page collection of stories about friendship and adventures and parties and waffles. It is about imagining and imagination. It is a charming jump into a sea of joy. The cast of characters are endearing and cuddly. Or, you know they would be if they could leap off the page. It is hard to read this book without a smile and without a chuckle. And though I haven’t tried, I imagine it is hard to read this aloud without a heaping dose of exuberance. This is A Narwhal and Jelly Book. The first one in a series of what I am sure will be classics. 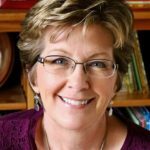 Book two is out in May! Sounds like the work of a mad genius. Thanks, Kevan! Narwhal! 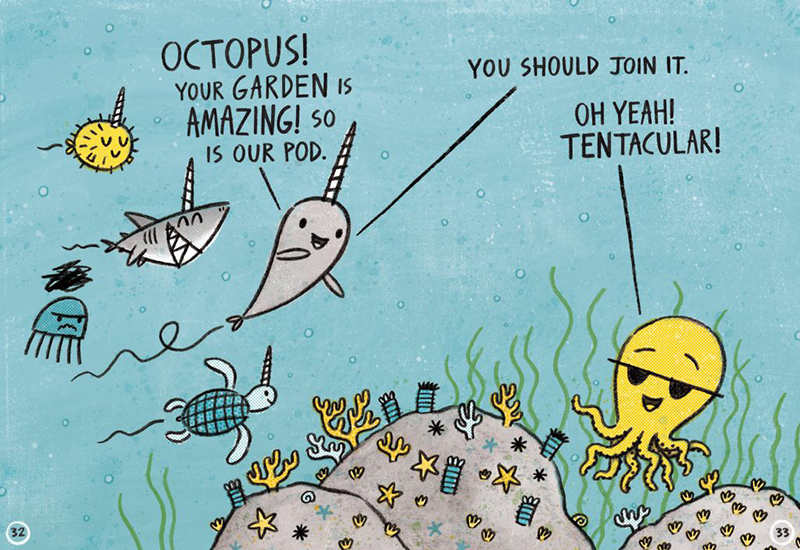 You and your undersea friends are just too darn cute! Yep, you are awesome! What a darling treasure of a book. The author had me at STING! Just picked this book up as a birthday present for my narwhal-loving 11-year-old. She should have been too old for it, but after a quick page turn to two, I was hooked, too. Such a fun book. Thanks, Kevan! This one is new to me, just requested it from the library. A jellyfish with hurt feelings — gets my brain working! Love it! I have to give this one a read. Unicorn of the Sea on our “New” bookshelf now. 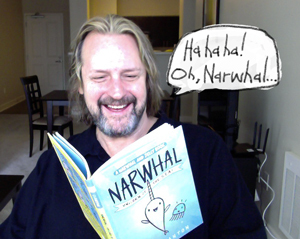 Super Narwhal in my book order cart – can’t wait to share them with kids at our library! This looks so sweet, and charming — what better character could there be than an adorable Narwhal? Thank you, Kevan!